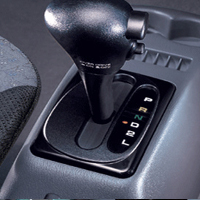 Automatic Transmissions should have their filter and oil replaced every 50,000 klms.. They are often overlooked. They can be just as expensive to fix as an engine, and while they don’t require as much attention as an engine, they should be regularly serviced. If you tow a caravan, then more regular servicing should apply. Most Automatic Transmissions have a dipstick (Ford 4 speed doesn’t) , you should check them regularly (engine running on idle) for correct level. If the oil smells burnt or looks a dark colour (Automatic Transmission Fluid should be a bright red), then it needs replacing. Ask us at your next service to check your Transmission fluid and filter.